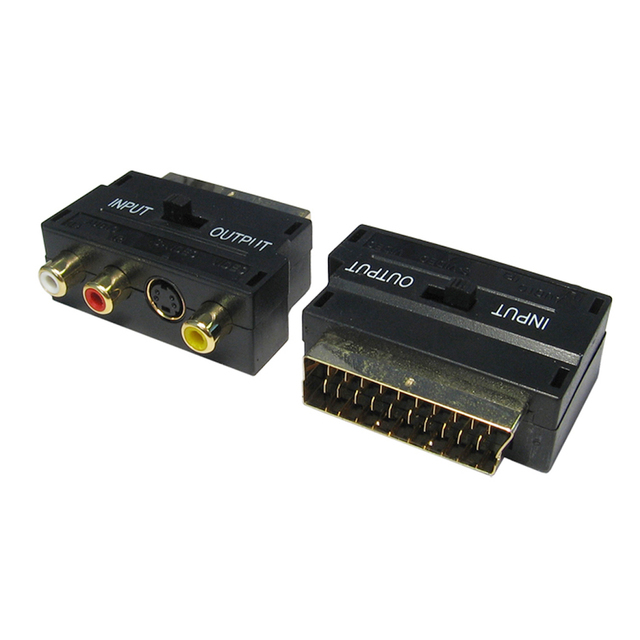 SCART adapter with left/right female RCA audio, composite video female RCA and S-VHS ports. Comes with input/output switch giving you control over signal direction. Gold connectors for a higher quality finish while providing anti-corrosive properties.